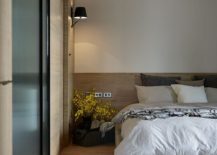 It is amazing how jaded life makes us as we grow older and the fascination that we have for little things seems to fade away all too soon in the real world. 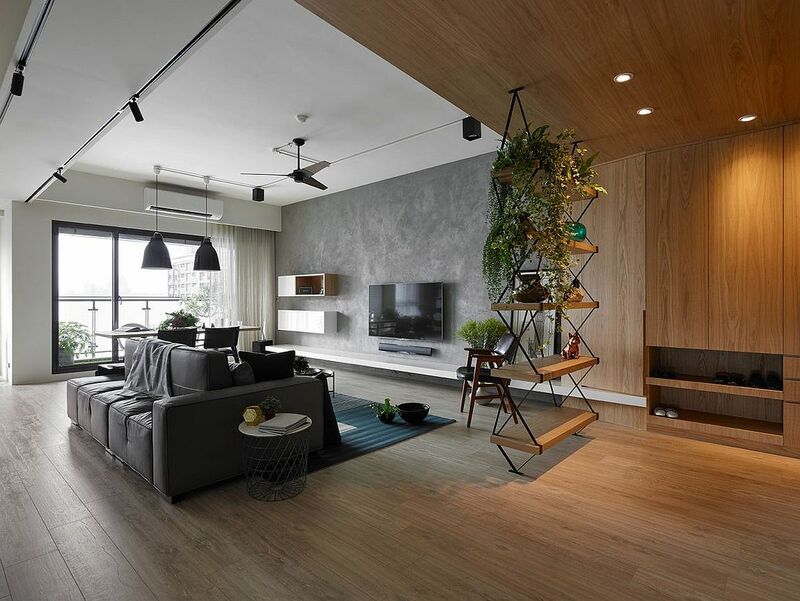 Yet some things remain constant like our love all things that fly high in the air and a desire to find a quiet, lonely nook that takes us away from the rush of the world. 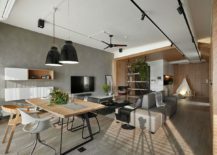 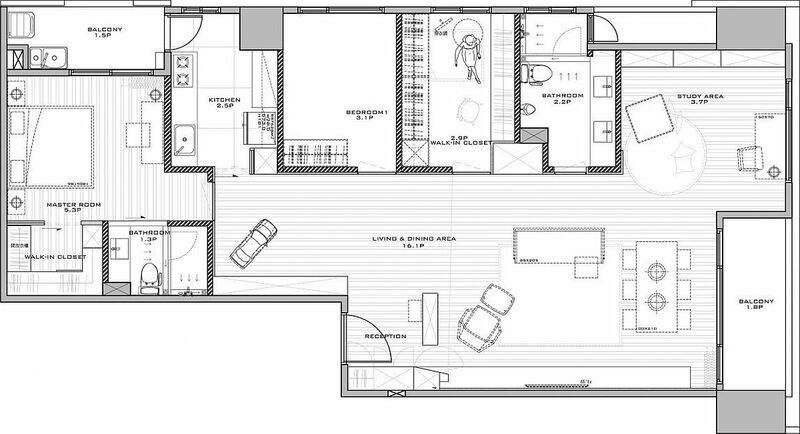 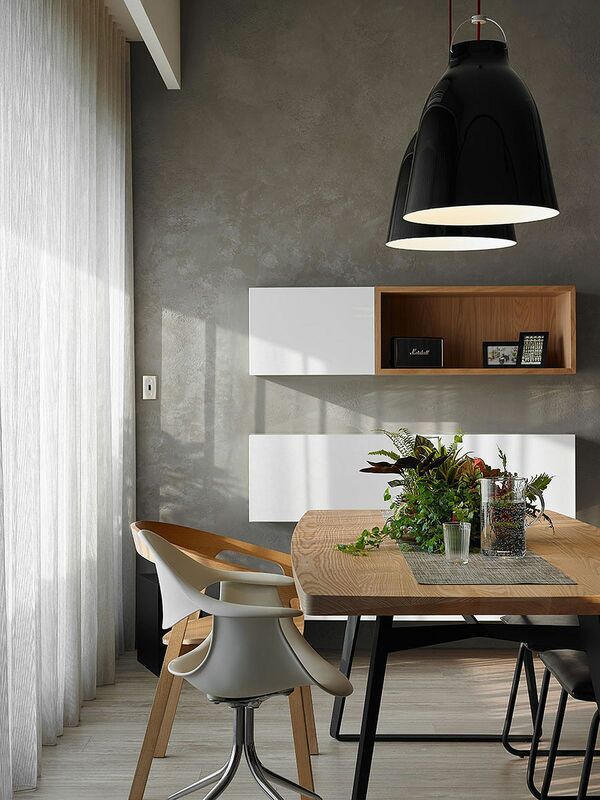 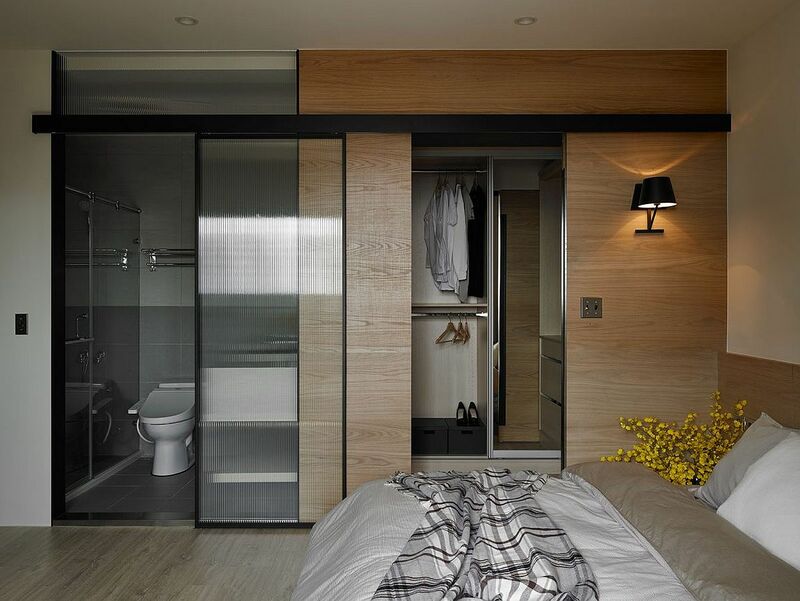 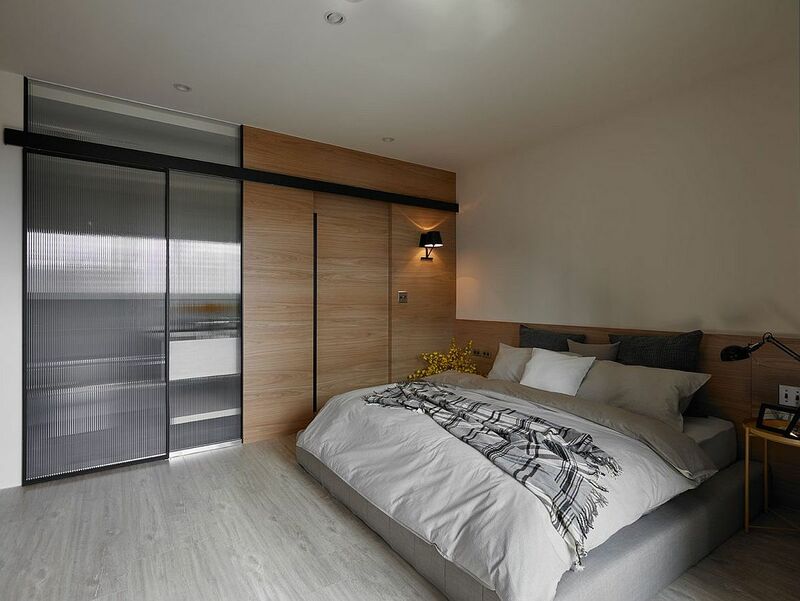 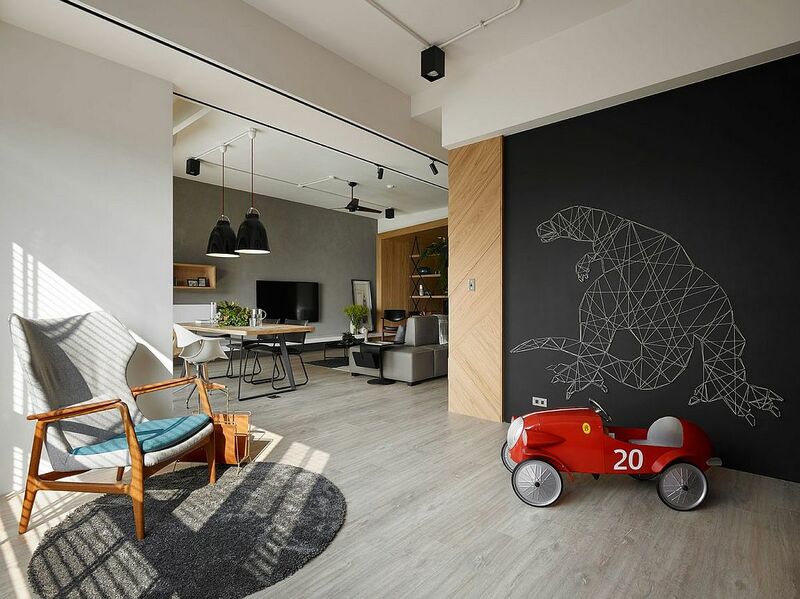 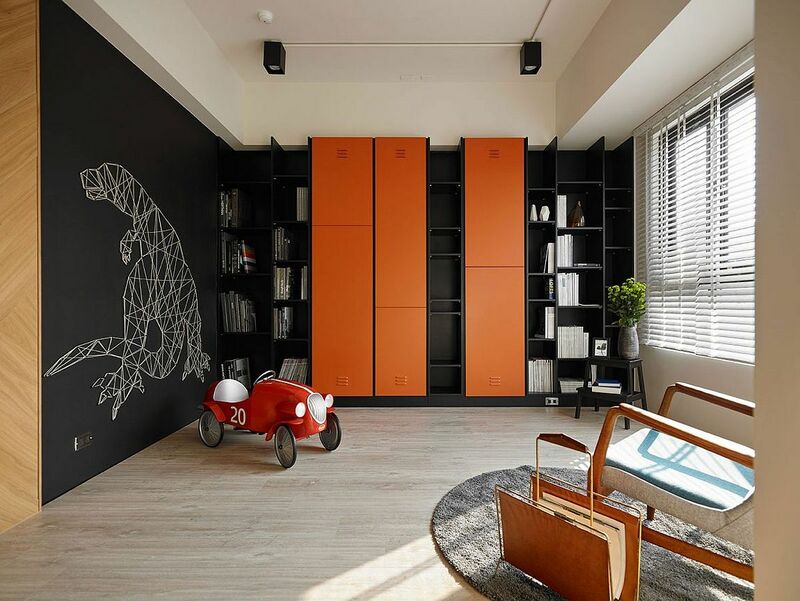 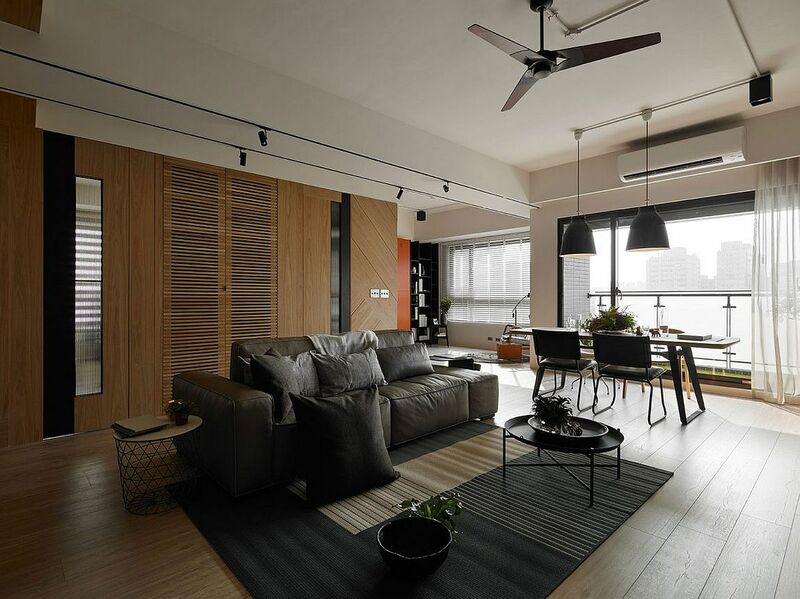 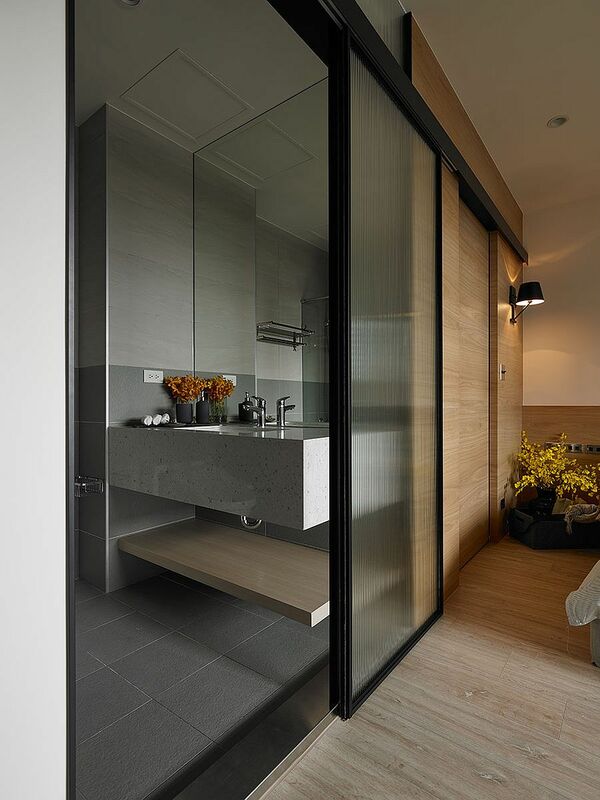 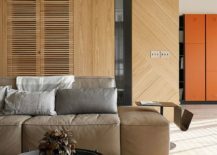 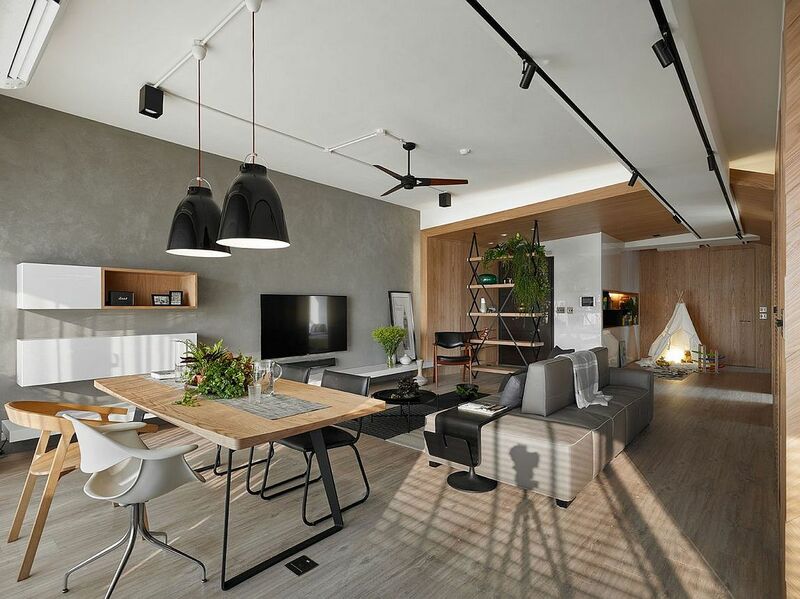 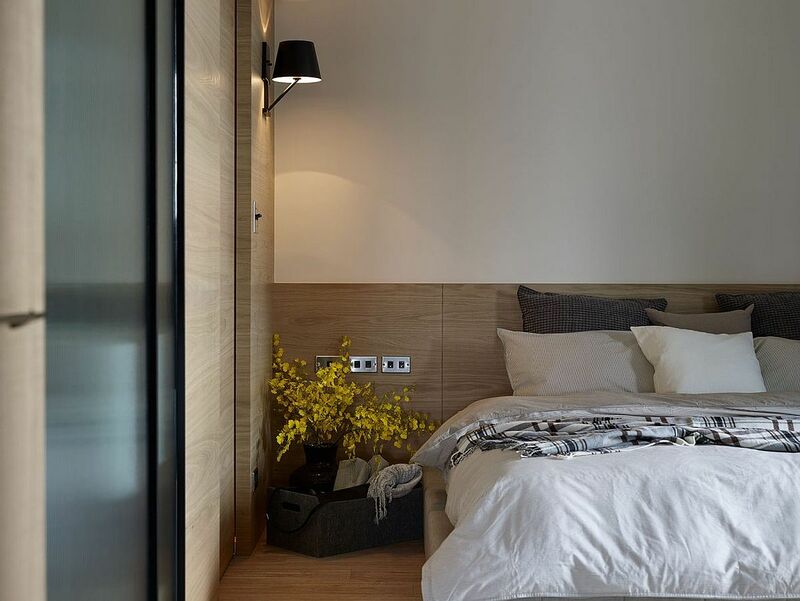 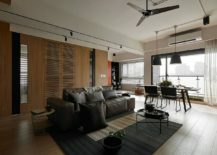 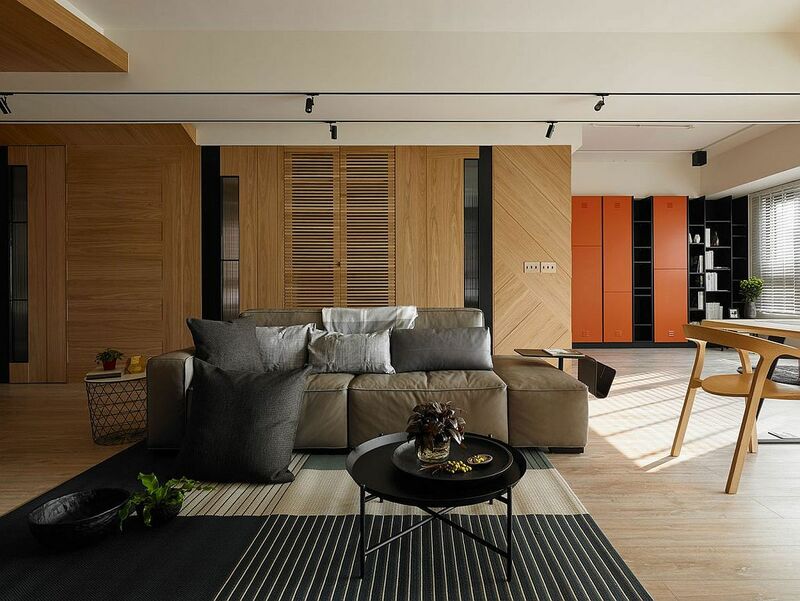 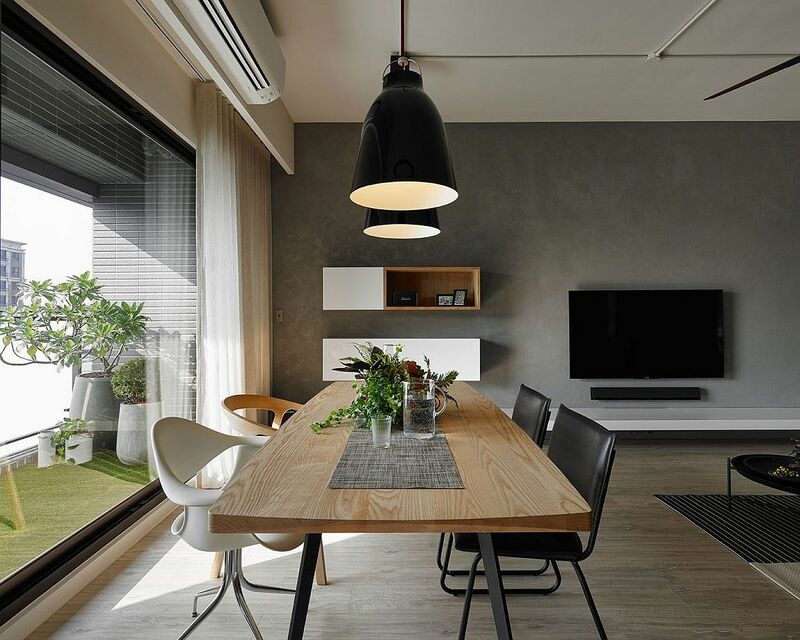 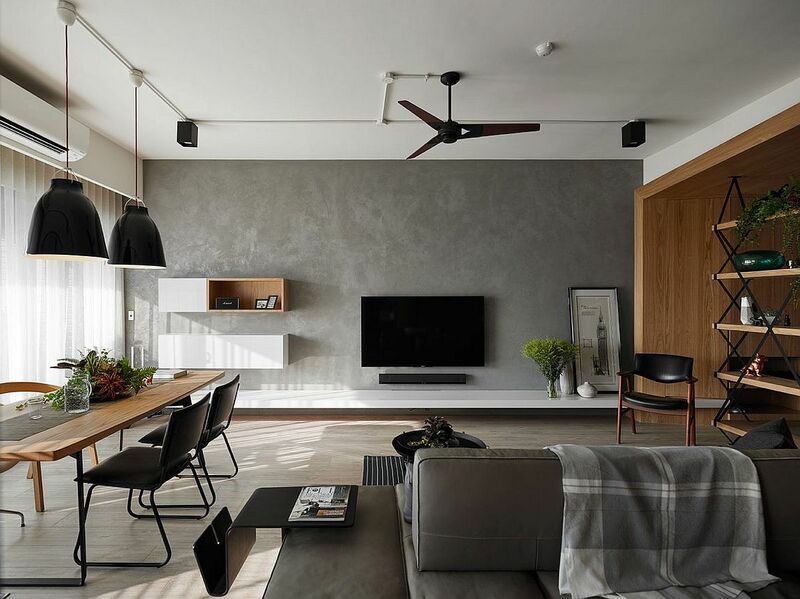 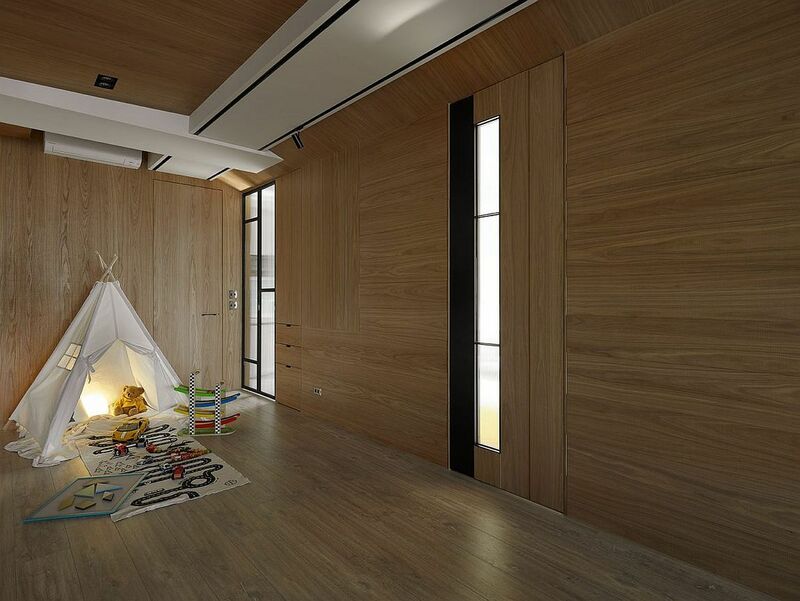 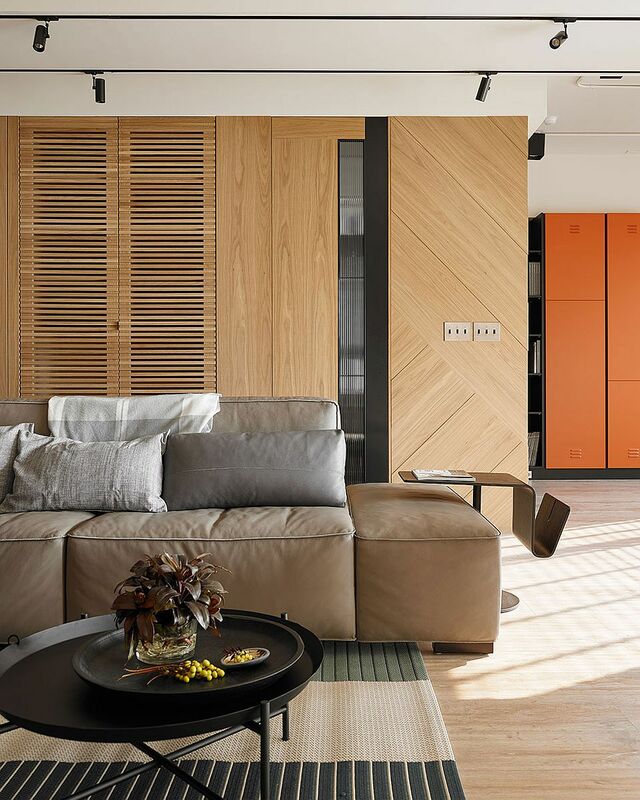 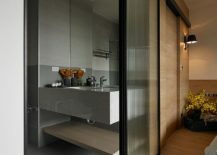 This Taiwanese home was conceived and brought to life precisely on this principle by AworkDesign Studio – an open and versatile interior that caters to the needs of an urban family with kids. 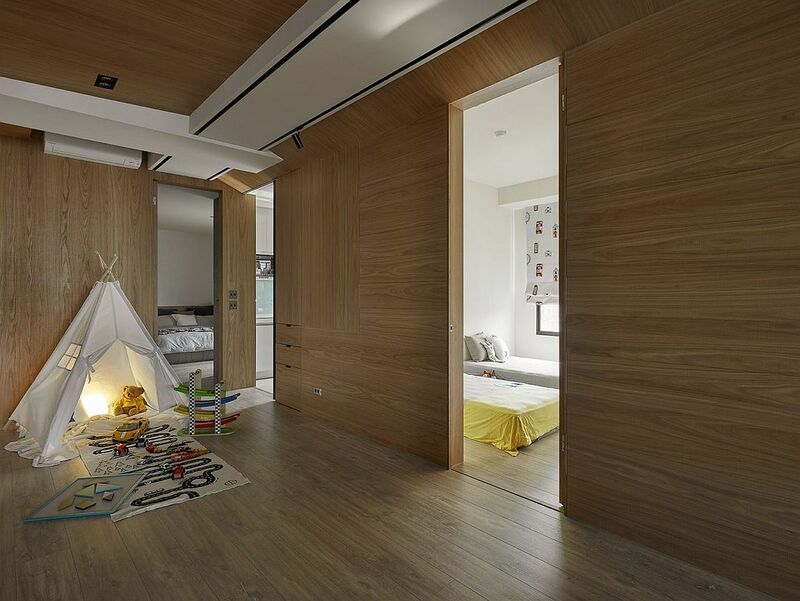 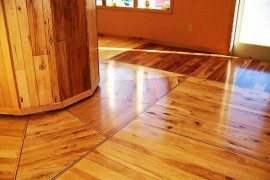 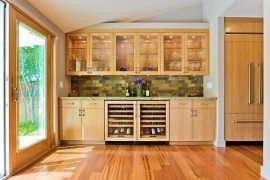 It is hardwood that shapes the interior of this serene setting where open living spaces can also be turned into ingenious and fun play zones with ease. 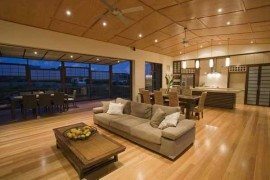 The living area is open, inviting and is draped in a layer of hardwood. 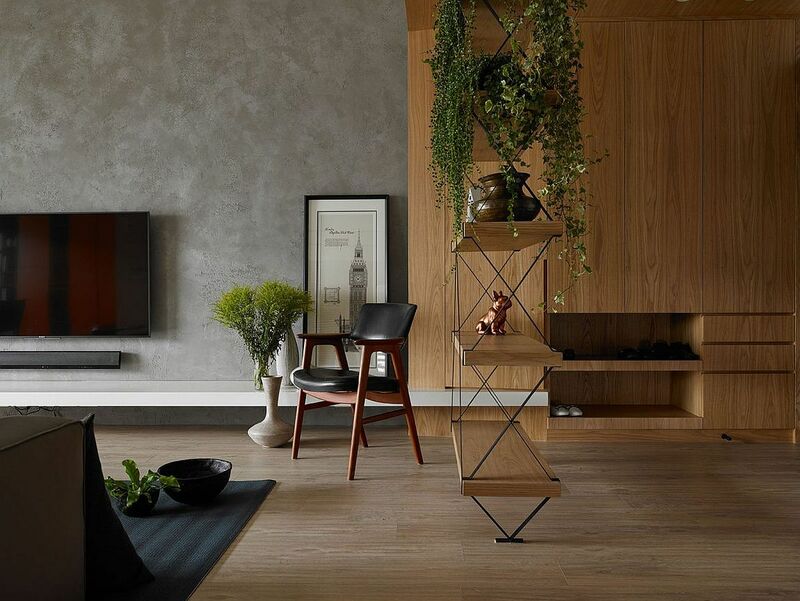 It is a bespoke shelf in wood and metal that grabs your attention here and becomes the bright and beautiful focal point of an otherwise neutral setting. 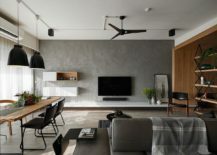 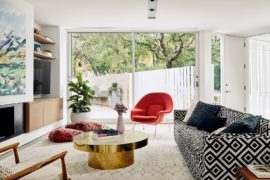 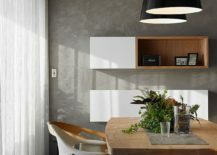 A textured cement wall acts as the backdrop for the entertainment unit and the floating shelves even as a double-sided couch helps demarcate and define space. 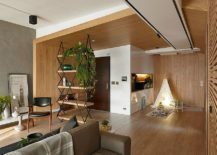 Classic wooden French doors in the living room open to reveal the home workspace with the living and dining area also doubling as the home library, study and activity zone. 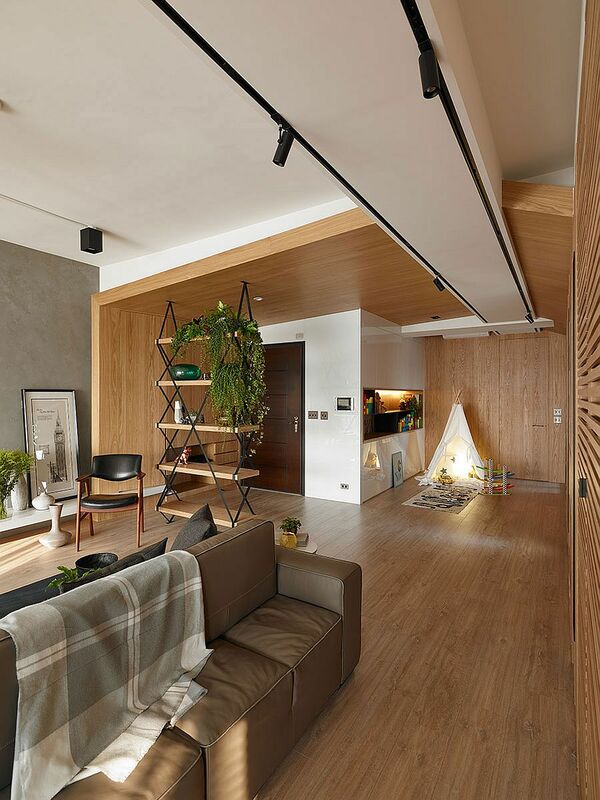 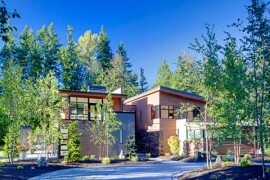 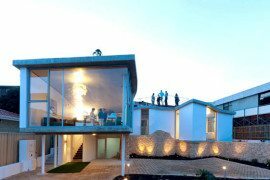 This Splendid Hardwood and Concrete House Captivates with Its Imperfections!